A member of the Earth-based anti-Titans group, Karaba, who joins up with the Audhumla while en route to Hong Kong City. Upon meeting Amuro Ray, Beltorchika takes an immediate interest and latches onto him, much to the chagrin of her comrades, especially Kamille. Beltorchika later plays a crucial role in the Battle of Dakar. At one point, the Titans try to stop this speech regardless of the safety of the people at the summit, including their own supporters. Beltorchika captures this on video, revealing the Titans' brutality to the whole world. After the battle, Beltorchika and Kamille engage in their friendliest conversation yet. She is last seen manning a gun turret on the Audhumla as Kamille and Char make their way back into space. Beltorchika and Amuro appear to be on the brink of a serious relationship, but he is later seen with someone else named Chan Agi in Char's Counterattack. No explanation as to what might have happened between him and Beltorchika is provided in the film. However, Yoshiyuki Tomino penned a novelized version of the film titled Beltorchika's Children. 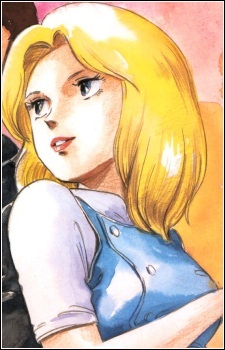 In this, Beltorchika acts in the same role that Chan does; however, in the book, she is pregnant with Amuro's child and survives the events of the novel. Beltorchika Irma is voiced by Maria Kawamura in Japanese and Kris Rundle in English.